Modern one bedroom flat in central location and offered in immaculate condition throughout. The property is located in a well maintained building with lift access, comprising entrance hall, bathroom with shower over bath, utility cupboard, double bedroom with fitted wardrobes and open plan living room and kitchen. Perfect for a professional couple or single person. 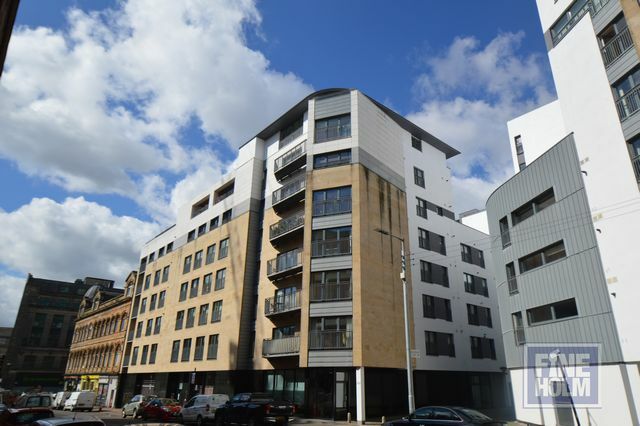 The property is situated in the Heart of Glasgow's thriving Merchant City where an excellent array of local amenities are on offer, in particular fine restaurants, bars, cafes and many cultural attractions. The property has excellent transport links with access to the M8motorway network from the adjacent High Street.